In a June 8 New York Times Op-Ed piece, Robert Kurson, author of the popular book Shadow Divers, attacks archaeologists as pirates, calling us a "new breed of raiders." By contrast, he praises treasure hunters: "Without them...many of these wrecks would stay lost forever. Without the lure of a big and romantic payoff, no one would even look." Moreover, Kurson paints archaeologists as ivory-tower academics and the treasure hunters as larger-than-life men-of-action: "it's a good bet that a grizzled, lifelong salvage diver has better real-life, tight-squeeze shipwreck experience than an archaeologist who writes up guidelines for this work from his office near the student union." This is a response from a grizzled lifelong archaeologist who has plenty of real-life, tight-squeeze experiences, as do many of my colleagues. The recent controversy over the discovery of the "Black Swan" treasure off the coast of England by the company Odyssey Marine has ignited more than just a debate between scholars and treasure hunters. The key question of who owns the treasure has involved diplomats and lawyers, led to legal action, and a stand off at Gibraltar that has stoked longstanding tensions between Spain and Great Britain. Lost in the rhetoric of these battles is the question of the relevance of the archaeologists' arguments. Whether Odyssey Marine is doing careful work that meets archaeological standards remains unknown. Secrecy shrouds the site and their work. Under that cone of silence, a treasure was raised and brought to the United States. The reaction from the government of Spain may prove far more serious for Odyssey than the concerns of archaeologists, but while diplomats caucus and op-ed writers throw mud, it is worth looking at those concerns. They are based on decades of experience with other treasure hunters, and hundreds of sites that have been torn apart, with the finds scattered. In nearly all of those cases, the stake has not been half a million coins or heaps of gold—such finds are very rare—but rather wrecks bearing fragile traces of the past. Next year, a major new exhibition will open at the Metropolitan Museum of Art in New York. At the heart of the exhibition are treasures from the world's oldest shipwreck, a vessel found off the coast of Uluburun, Turkey. That exhibition, on international trade and cultural exchange in the Bronze Age, will transport visitors back to a period that witnessed the Trojan War and the reign of Egypt's fabled King Tut. These were times of strife, as kingdoms rose and fell and legends and history were made. Dating from the 14th century B.C., the Uluburun wreck carried a royal cargo of tribute from one ancient ruler to another. Its treasures, spilled into the sea 3,300 years ago, included raw glass, ebony and ivory, gold, copper ingots, ceramics, amber, and resin. After 11,000 hours of diving and careful recovery, archaeologists from the Institute of Nautical Archaeology were able to map where everything lay and put the wreck back together. That mapping sorted out the difference between cargo and the crew's personal effects. It also revealed the delicate remains of the last day in the life of that ship and the people on board. Had treasure hunters found the Uluburun wreck that history would have been completely lost. Thanks to the archaeologists, scientists, curators, and historians, the world not only gained a first-hand look at the lost and forgotten treasure, but also a new appreciation of how ancient people had interacted and traded, even in times of conflict and suspicion. Trade goods from a dozen different cultures lay scattered on the seabed. The remains represented cargo from the Middle East, Cyprus, and the Baltic, among other places, that had been gathered and was on its way to a palace in what is today Turkey when the sea swallowed them. Some have suggested that the cargo was a gift from Egypt's famed beauty, Queen Nefertiti, to buy support after her husband, the pharaoh Akhenaten had died and she was seeking a foreign prince as a husband to become the new pharaoh and to keep her on the throne. Instead, she disappeared from history, and the boy king, Tutankhamen, took the throne, only to die under suspicious circumstances at a young age. This fantastic story was almost lost to history. When first discovered, the copper ingots scattered on the seabed were clues to what lay below. The Turkish sponge diver who found the wreck could have turned the site over to salvagers who would have stripped it of the ingots, melted them down for a few dollars, and history would have been the poorer. Instead, archaeologists from the Institute of Nautical Archaeology recovered the treasure, and for decades it has been the centerpiece of Turkey's most popular archaeological museum in Bodrum, visited by millions. Now those treasures are coming to America, and to New York where they will be seen and appreciated by everyone who visits the temporary exhibition at the Met. Another wreck will not be the subject of an exhibition. The U.S. Navy's brig of war Somers was the scene of the Navy's only mutiny at sea, an 1842 event that spurred the hanging of three men, one of them the 19-year-old son of the Secretary of War. The "Somers affair" ultimately inspired Herman Melville to write Billy Budd. The wreck, when discovered in 1990 off the coast of Mexico, lay where it had sunk in 1847. The action of the sea had eaten much of the wood when we dived on it, but everything else lay exactly where it had come to rest a century and a half earlier. Our careful mapping started to reconstruct the ship, but on a return dive, we found that treasure hunters had stripped it to sell the artifacts of a famous ship on the black market. While not as ancient as the Uluburun wreck, the wreck of the Somers was a link to the past that a handful will now enjoy, rather than millions. The discovery of the Uluburun shipwreck is not unique. There are hundreds of other examples from all over the world. Incredible discoveries are made constantly by grizzled and young archaeologists who scour the seven seas with magnetometers, stand long watches at sea, and dive down to carefully do their work and recover history. Archaeologists have been at sea searching for wrecks for nearly 50 years, using the same techniques and tools—in fact, most of the technologies and techniques for finding and excavating wrecks were developed for archaeological projects, including deep-water work. Last week, in relative media silence while Odyssey dominated the news, a team from Texas A&M University and the Institute of Nautical Archaeology conducted a deep-water examination and test excavation in the Gulf of Mexico on a 200-year-old wreck. Contrary to Robert Kurson's New York Times piece, treasure hunters are not the only ones with the tools or the interest to work in the deep. Rather than write policy documents by the student union, as Kurson claims, like my colleagues I have "swam the swim" to work on and under the water. I have taken off my air tanks to squeeze into a toppled tank off the beaches of Normandy, and wriggled into rusting wrecks in danger of collapse to come back with photographs of forgotten history. I have worked on the sea with "wreck detectives," anglers, tipsters, amateur historians, and serious wreck divers who share the passion, including one of the divers who found the lost U-Boat evocatively written about by Kurson. Our fellow divers are not the problem. The issue is one where the flash of gold and silver obscure or overwhelm the type of careful work that yields treasures of a different sort, like that of the Uluburun shipwreck or the Somers. We base our opposition to treasure hunting on the track record of those years of lost opportunities and lost history, and the challenge we issue to Odyssey is to show how they are different. We curators and archaeologists work long hours on the sea and beneath it as much as in the lab, and many of us do what we do without tax dollars, but with the support of public-minded philanthropists. Their support comes without the expectations of investors, many of whom we have found seek a "cost-effective" dismantling of a site and quick return, not the recovery and treatment and preservation of everything, which is what we do. We share what we find in a variety of ways, but in the end, for us the lure and romance—the "payoff" is the "oh and ah" when they read the magazine article or popular book, watch our work on television, or walk into an exhibition like that coming to the Met and see it all, its stories being told, instead of a single piece on an investor's mantelpiece. 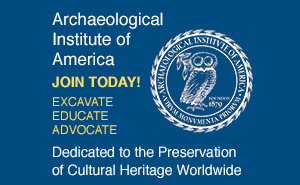 James Delgado is the executive director of the Institute of Nautical Archaeology at Texas A&M University. 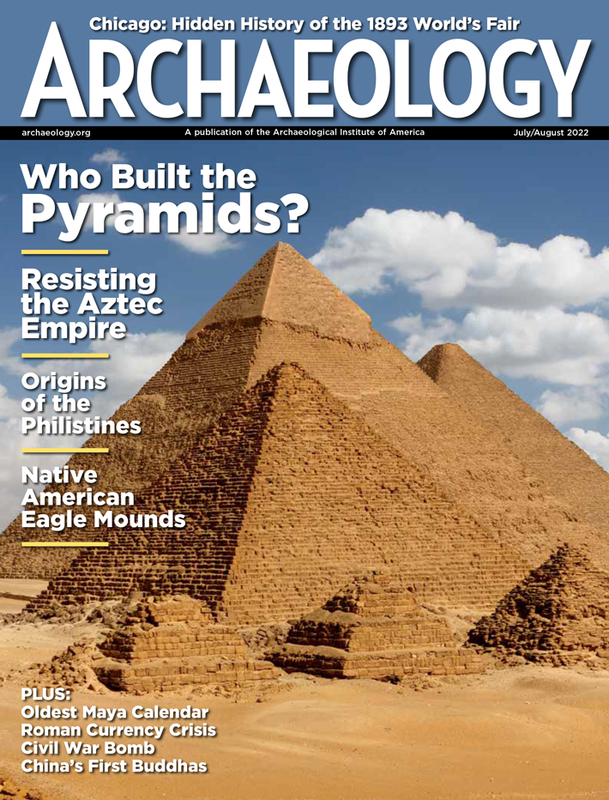 A contributing editor to ARCHAEOLOGY magazine, he is also host of National Geographic Television's "The Sea Hunters" and the author of 30 books on shipwrecks, history and archaeology, including three books for children.